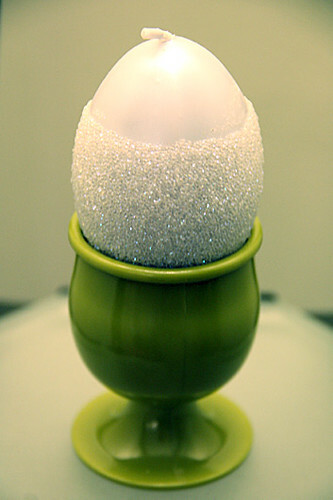 Sometimes I wonder why I put up my Easter decor this year, with Easter being just so, so early. But, I always remember that my precious little kids love to see the house decorated for Easter and it makes the holiday seem more real. That makes it so worth it for me to drag it upstairs and back down in just a 3 week window. Here is a photo of the top shelf of my buffet rack, you’ll see a frame that my previous boss made me. The double-sided frame has my name in a script font facing back to back on one side and the definition of my name of the other side. Isn’t that cool? You’ll also see my new burlap wrapped eggs on a stick poking out from the greenery at the top of the shelf (Hobby Lobby find). I also have a Smores Bunny angel that I got from a crafting site a few years ago and I have a ton of the kits leftover and I may have Autumn hand them out to her classmates as an extra little Easter gift. 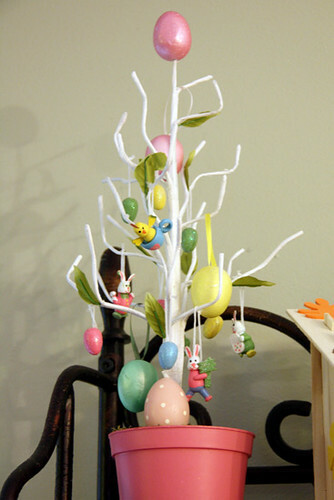 I have a PBK Halloween tree that is much more elaborate (the kids make homemade crafts for it every year), but this is our simple $1.00 Target Dollar Spot Easter tree. This was before their Dollar Spot had $2.00 and $3.00 items. I really could make it much nicer if I found a better pot for it. Its a pretty dainty tree, much smaller than our Halloween tree! 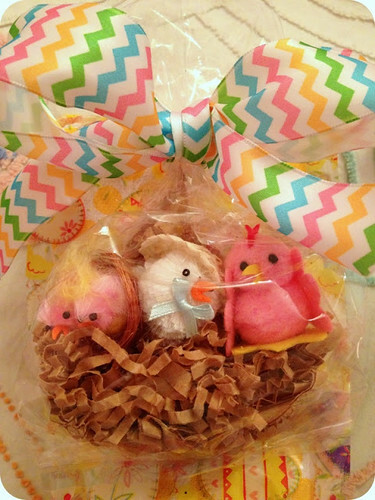 Here is a basket filled with burlap wrapped eggs and PBK ceramic eggs… I love collecting eggs in different colors, textures, etc. 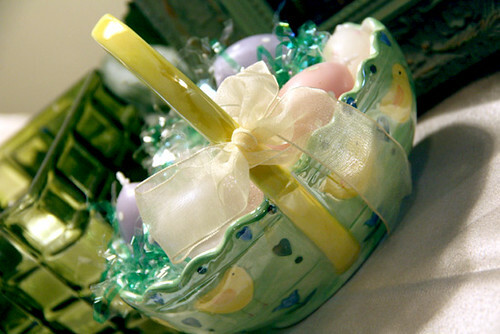 Some more PBK egg candles (mini ones) in a Ceramic Easter basket with little whisps of Easter grass tucked inbetween them. 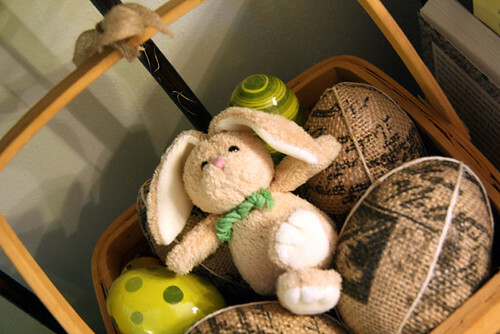 I love to decorate the basket to my tree in our Living room when I can… and, usually I stick my mop bunny on top of the basket, with some eggs on sticks around the bunny. 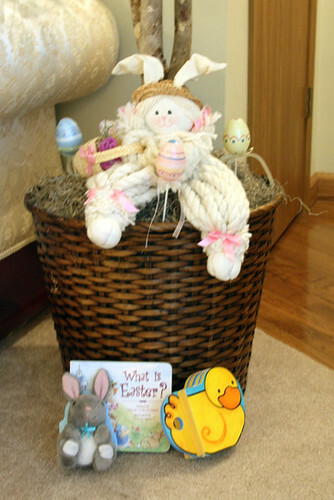 Then, I set out some of the kids smaller Easter books at the base of the basket to encourage them to read. I like to add a little bit of Easter to our Living room in a simple way. 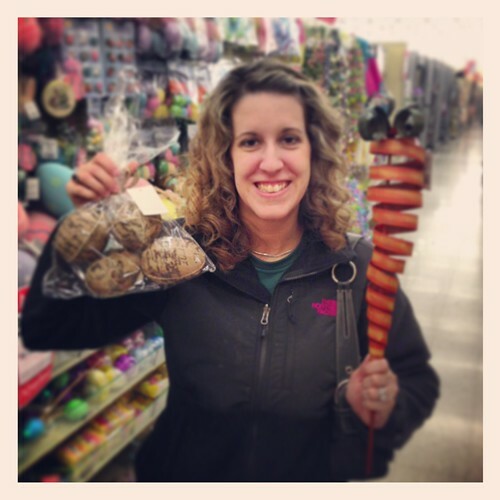 This is not the best picture of me, but we had been running errands with the kids for 5 hours at this point… see what I scored at Hobby Lobby? This adorable outdoor spiral carrot! I love! I didn’t even get it outside this year, because of the SNOW. Boo. Easter is in April in 2014, so maybe next year? I wish I had bought a couple more of them… I should have listened to Brian, he told me to and I said no! Darn! Now on to my favorite Easter pins. Things I wish I would have had time to do if Easter wasn’t so early this year. 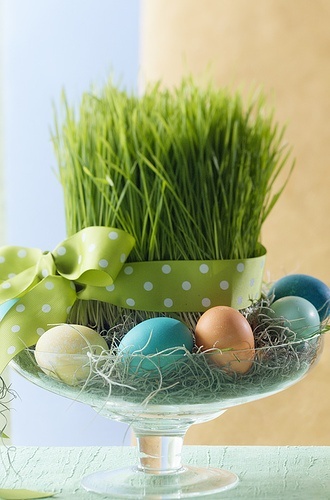 I love this wheat grass centerpiece. 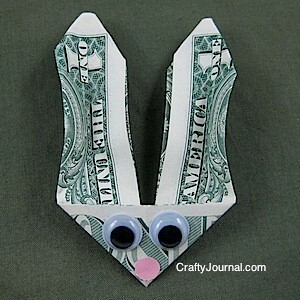 I must do this by next Easter. I have tried to find some faux wheat grass at Hobby Lobby, or something similar with NO luck. Can anyone help me out? I did look for it online, but its bulk expensive as in $40.00! No thanks! 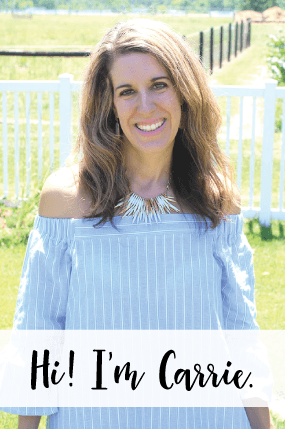 I even thought about growing real grass… uh. I have a year to figure it out, right?! 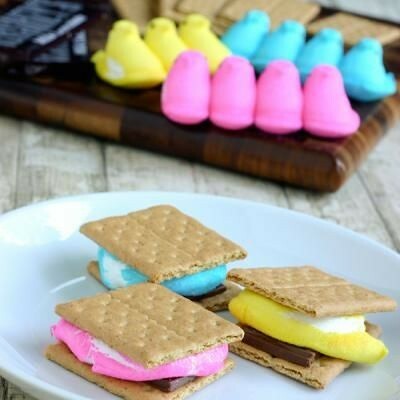 I also love these Peep smores, they would be really good for one of our family movie nights. I love to make a special little sweet for movie nights. 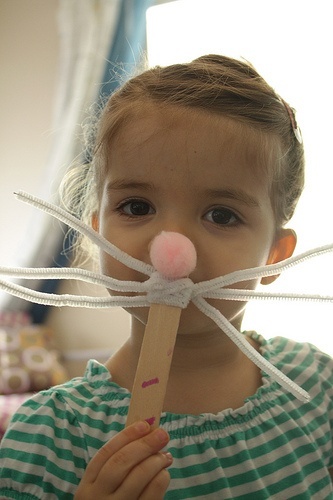 My favorite Easter craft, a bunny face on a stick. So easy, so cute. This would be perfect for a craft for a school party. 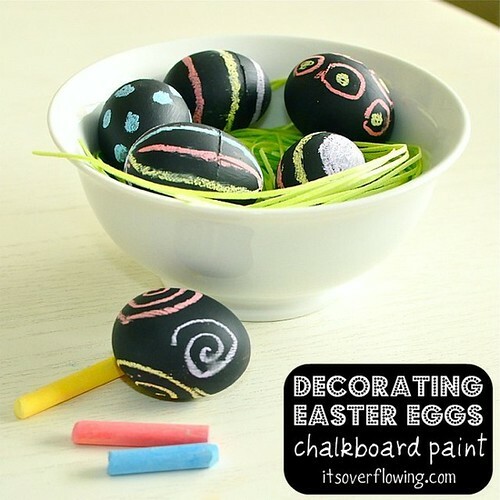 Since I am really into to different kinds of eggs, I am really digging these chalkboard painted eggs. 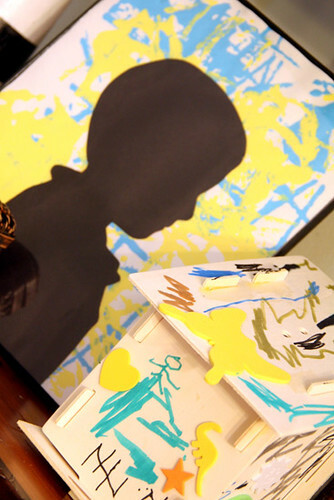 I could even let my kids paint them before I display them in a basket. Lastly, I love this Little Chicks surprise. This would be such an easy gift to make up for the kids in Autumn’s class IF I had more time. They sell these mini chicks at Hobby Lobby in bulk for about $5.00 for 20 or so chicks (if I remember correctly).